Looking for an immigration lawyer Barrie that will provide you with ongoing support and advice on immigration matters? Matthew Jeffery is a licensed attorney with more than 20 years of experience specializing in immigration matters. Whether you need help applying for permanent residence, citizenship or work permits, Mr. Jeffery is ready to review your case and let you explore your options. He has a law degree from Osgoode Hall Law School and is authorized by the Canadian government to appear before the Canadian courts for immigration appeals and other litigation matters. Would you like to sponsor your spouse or partner to join you in Canada? First, you need to ensure you meet the minimum requirements to become a sponsor. For instance, you must demonstrate that you have sufficient income to support the sponsored person when they arrive in Canada. You will be required to enter into an agreement with the Canadian government to show that you will support the person for a certain number of years from the day they arrive in Canada. We can help you with family sponsorship applications and help to fulfill your dream of bringing your family member home. If you wish to renew your PR card, one important step is to ensure that you fulfill the residence requirements. If you haven’t stayed in Canada for at least two years in the five-year period before renewing your card, your application can be denied. Working with an immigration lawyer will help you to understand all your options and increase the chances of your PR card renewal request being approved. The Express Entry system was developed to help the IRCC to fast-track hardworking and skilled immigrants who are contributing to Canada’s workforce. There are a number of programs under the Express Entry system that you can qualify for. The first step is enrolling in the program by showing you fulfill all the minimum requirements, then waiting for an invitation to apply. Foreign nationals can fill their profile on Job Bank and allow Canadian employers to review it and offer them a job position. When one receives a job offer, their rank in the pool increases and they are more likely to be invited to apply for a permanent residence. Working with an immigration lawyer Barrie like Matthew Jeffery helps you to understand all your options while offering you the ongoing support needed to succeed in this process. You may require a temporary resident visa in order to stay or enter Canada for a specific period of time. Types of temporary visas include visitor visas, study permits, and work permits. These visas will be issued for periods of validity from several months to several years, depending on the nature of the temporary residence. There are specific requirements for each type of temporary resident visa and the Law Office of Matthew Jeffery can assist with visa applications to ensure the best chances of approval. Canadian permanent residents are able to apply for citizenship if they meet the residency requirements. The permanent resident must have been physically present in Canada for at least three years in the five-year period before they apply. In addition, the applicant must have filed income tax returns for at least three years in the relevant period, and has to show sufficient English or French language skills, as well as pass a knowledge of Canada test. Working with an immigration lawyer provides you with all the information you need to ensure the application runs smoothly and will increase your chances of approval. If you want to challenge a decision made by the immigration authorities, you need a qualified and experienced immigration lawyer by your side. Mr. Jeffery has many years of successful experience with all types of immigration appeal matters, including Federal Court judicial review, appeals before the Immigration and Refugee Board, citizenship revocation matters and inadmissibility cases. 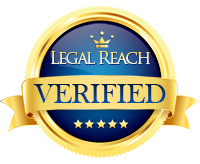 He reviews each client’s situation and takes time to offer the best advice and legal representation. Inadmissibility cases can be complex in every shape and form. However, there are ways to overcome inadmissibility if you take the right steps to show that your entry to Canada is justified. You can be refused entry to Canada due to criminality, medical issues or misrepresentation among other reasons. Our immigration lawyer is ready to review your case, advise on ways to overcome inadmissibility and even challenge the decision in court. 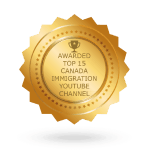 We are ready to help you demonstrate that your entry to Canada is justified. Barrie is a city of over 135,000 people. This vibrant community located in Simcoe County has grown significantly in recent years, and become one of the leading home areas for those that work in nearby Toronto. Because of its historic waterfront and downtown areas, Barrie is a popular tourist city. Visitors come from across North America to visit the fashion boutiques, theatres, and high-class restaurants found throughout Barrie city centre. 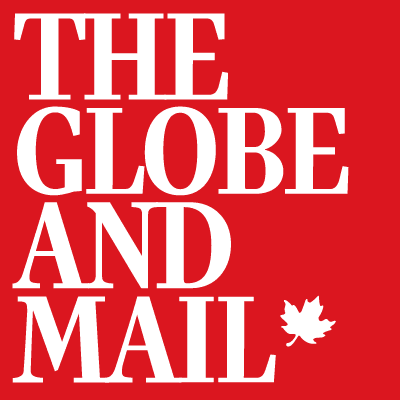 The community’s growth is also a result of recent immigration to Barrie and this is an area in which Matthew Jeffery and his staff are leading experts. Matthew Jeffery has been a trusted advocate for Barrie clients for many years. He’s worked with local residents and their families to help them settle in Barrie and to overcome immigration barriers. 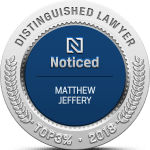 In addition to his work with families, Matthew Jeffery is known for his comprehensive understanding of the changing immigration laws. 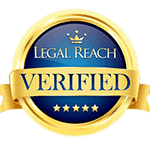 He and his team work tirelessly to help clients use legal means to immigrate to Canada. Whether the local Barrie client is seeking a way of sponsoring their family to enter Canada or trying to become a permanent resident, Matthew Jeffery has the experience and the legal acumen to ensure success in the immigration process. Matthew Jeffery has worked with thousands of families across Barrie to help them move forward within their individual immigration cases. He knows the challenges of many families, as well as the solutions available under immigration law in Canada. To help begin this process, he and his team offer free assessments. This assessment process allows the team to learn more about the client’s immigration case and can help provide a foundation for a successful application. Because Matthew Jeffery employs a hardworking team of legal experts, he’s able to respond to assessment requests in as little as one day. This helps ensure a swift resolution to challenging immigration issues. Matthew Jeffery is also known for his expertise in immigration appeals and litigation. His team recognizes the need for a comprehensive understanding on individual immigration cases, and he uses his experience in the field to represent clients in their appeals. Whether they are appealing against inadmissibility to the country or a failed citizenship application, Matthew Jeffery can work on behalf of Barrie clients to help them find clear solutions to the obstacles they face within the immigration process. Matthew Jeffery’s service is founded upon clear communication with his clients. He can help clients analyze their documentation and find a strategy that will ensure success in their immigration objectives. He’s available around-the-clock to answer important questions based on years of industry experience. As the trusted specialist for immigration law in Barrie, Matthew Jeffery is now ready to help clients throughout the region move settle successfully in Canada. Whether you’re a student and require a visa to attend school in Canada, or an individual looking to settle in Canada with your family, Matthew Jeffery can help move the process forward.